.” Whether you're an experienced psychometrician or just beginning to work with assessments, this is an extraordinarily useful source of information. A summary of tests that may be used with each of the 3 occupational Test User qualifications is presented, including Assistant Test User, Test User Ability and Test User Personality. A brief synopsis of what each test measures is included, along with publisher details. If you know which attributes you need to measure, options are clearly and concisely listed for you. More details on the background, uses and psychometric qualities of the tests can be found in the BPS Test Reviews. Full Test Reviews are free to RQTU members. The “Tests available to RQTU members” resource includes direct links to available, instrument-specific BPS Test Reviews. It's a very easy and efficient system for exploring qualities of any measures you're considering using. It is well worth having a look through this test listing. I think you’ll find it a great addition to your psychometric testing resources. Happy testing! Dr. Barbara Caska If you've yet to complete the training required to obtain BPS/EFPA Test User qualifications, check out our recent blog series on the benefits of doing so, beyond access to psychometric tests. Part 1 addresses lesser know benefits of Test User ability training, while Part 2 covers Test User personality. Selection by Design offers Test User training throughout the year. You can find our training schedule and prices (including discounts for students) here. We receive a lot of queries on which tests can be accessed and used once you have obtained Test User qualifications. 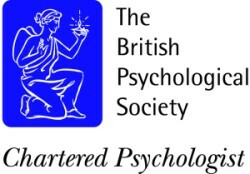 Recently I came across a new and valuable reference for identifying and locating accessible tests: the newly published British Psychological Society (BPS) “Tests available to RQTU members.” Whether you're an experienced psychometrician or just beginning to work with assessments, this is an extraordinarily useful source of information. A summary of tests that may be used with each of the 3 occupational Test User qualifications is presented, including Assistant Test User, Test User Ability and Test User Personality. A brief synopsis of what each test measures is included, along with publisher details. If you know which attributes you need to measure, options are clearly and concisely listed for you. More details on the background, uses and psychometric qualities of the tests can be found in the BPS Test Reviews. Full Test Reviews are free to RQTU members. The “Tests available to RQTU members” resource includes direct links to available, instrument-specific BPS Test Reviews. It's a very easy and efficient system for exploring qualities of any measures you're considering using. It is well worth having a look through this test listing. I think you’ll find it a great addition to your psychometric testing resources. Happy testing! Dr. Barbara Caska If you've yet to complete the training required to obtain BPS/EFPA Test User qualifications, check out our recent blog series on the benefits of doing so, beyond access to psychometric tests. Part 1 addresses lesser know benefits of Test User ability training, while Part 2 covers Test User personality. Selection by Design offers Test User training throughout the year. You can find our training schedule and prices (including discounts for students) here.